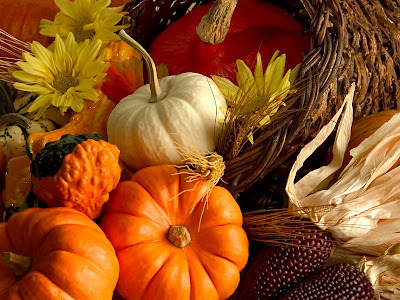 We are opening early to offer you great savings on all store inventory* at Mignonne. 30% Reduction on our already affordable prices ~ a sale you won't want to miss! We have gifts for every budget ~ starting at $5! Time for a headstart on holiday shopping and of course,, your opportunity to support your local Old Oakland retailer. We have new inventory to peruse and we will be offering FREE gift wrapping ... All this at your favorite Old Oakland boutique ... Mignonne! 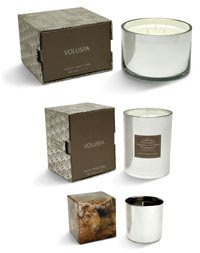 Voluspa continues to be one of our most popular candle lines at Mignonne. Not only is Voluspa committed to using the highest quality waxes and fragrance oils in their candles for a clean, long-lasting burn ... but their beautiful and inventive receptacles make lovely accessories for the home. Goji & Torocco Orange - Goji berries grow on evergreen shrubs in temperate, sub-tropical climates and the scent is combined with Torocco Orange, similar to blood orange. Makassar Ebony & Peach - Woodsy ebony combined with peach create a sensuous result. Frost Pinecone - A perfect hostess gift for the holidays, with scents of forest cypress, pine needles and pinecone seeds. Beautifully boxed and ready to go! We recently introduced our other featured artist at Mignonne, Valerie J. Cochran. 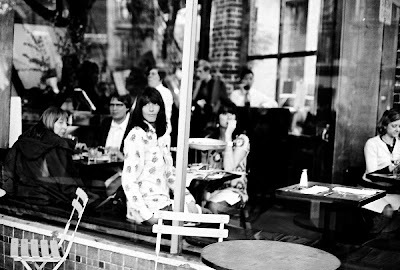 Valerie's photography has been featured in print publications as well as many online sites including the BBC, Photoblogs Magazine and SFist. She has also self-published a photography book. Valerie's work received rave reviews during our recent Oakland Art Murmur art reception. At Mignonne, not only do we seek out compelling local artists to provide a venue for their work...but we are committed to helping our customers bring beauty and art into their homes by finding affordable options to meet a wider variety of budgets. Valerie's work can be purchased at Mignonne at $50 per print. 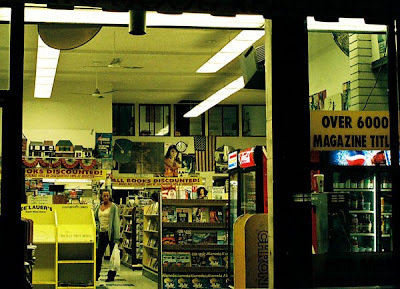 Her work explores the relationships between people and places in an urban landscape, and utilizes only film photography. Treat yourself and your home environment to the added dimension original artwork can provide. If you'd like another chance to see her work in person, mark your calendars for December 11th when we will be hosting a Closing Reception for Valerie's art. More information on the event will be shared as the date draws near. We are thrilled to welcome back, by popular demand, the works of local artist Gary Comoglio. Since graduating from San Francisco Art Institute, Gary's main creative focus has been acrylic painting and Japanese wood block printing. When he is not painting, carving or printing, Gary is enjoying one of his other passions which include playing golf; cooking with fresh produce usually purchased at local farmers' markets; spending time with family and friends; motorcycling along the magnificent Bay Area's roads; drinking Sonoma County zinfandels and pinot noirs, New Zealand sauvignon blancs; eating fine cheeses and chocolates; watching British Comedies; and traveling. Join us tonight from 6:00 to 9:00 PM for a wine reception celebrating NEW work by this month's featured artist. Tonight's reception is in conjunction with Oakland's Art Murmur ... so plan for a great evening in one of Oakland's hottest neighborhoods. Take advantage of our Huge Store Sale while you're here. See you there!